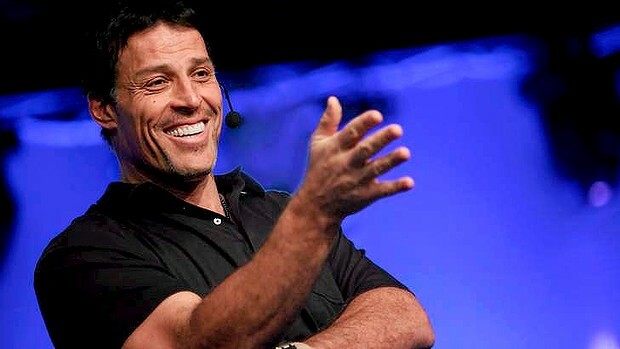 Home SUCCESS Tony Robbins recommends ‘this’ for success! Many, many years ago I listened to Tony Robbin’s ‘Personal Power’ program on Tape. Yep; you read that right. They were on tape! That’s how long ago it was lol. I was about 16 or 17 years old when I listened to his course for the first time. Even now, many years later, I find myself recalling key learnings from the course. “Quality questions create a quality life. So, a big key to Success is based on the quality of your questions. See if you can apply this to some aspects of your day. OR Banish the iphone from the bedroom so you wake up and start the day journaling or meditating (or both), and not checking emails or scrolling through websites. Avoid checking emails until 9pm. Is there a better way to…. ….structure my work day and tasks? Use a laptop timer to finish key tasks – Google ‘free stopwatch’ and give yourself x amount of time to finish set tasks. I recommend using a desktop timer rather than your iphone so you avoid distractions! Race against the clock to finish a task. I.e. tell yourself you will write a blog post in 15 minutes, set that timer, and go for it! Rid yourself of distractions. Put your iphone in another room or out of reach. Turn off notifications for social media if you are game. You may have already heard some of the suggestions above before, but are you applying them?! Then brainstorm ideas to do just that. In time you will be a super-charged, focused and efficient superstar! Love to hear how you find this tip and how it impacts your daily activities. Here’s to an awesome rest of the week! Have you grabbed your copy of my book ‘How to Escape the Photocopy Life’ yet?